In this very hectic, fast paced, and truly unsafe world we live in these days, joggers need to take warning and give caution to their favorite health past time. Jogging alone proves to be a successful ‘therapy’ for dealing with stress, dropping those unwanted pounds, and taking in some of your favorite music without consistent interruption. Though many find jogging by them self to be therapeutic, it is important that they not let their guard down while enjoying their daily run. It is critically important when jogging that you remain alert, focused and aware of your surroundings at every moment. 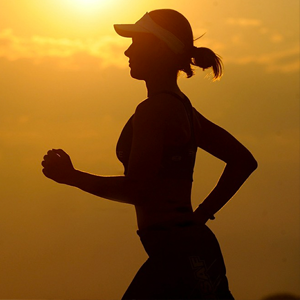 Staying alert and attentive is, by far, the best formula for staying safe when jogging any time, any where, and is desperately important when jogging alone. With the number of abductions and even murders that have occurred across the United States to individuals jogging alone, is it any wonder that joggers are becoming leery of engaging in their favorite daily sport? Nobody wants to live their life in fear everyday, but surely we do not want to be careless nor impractical when it comes to activities or events that can ultimately be accountable for a serious mishap or misfortune. 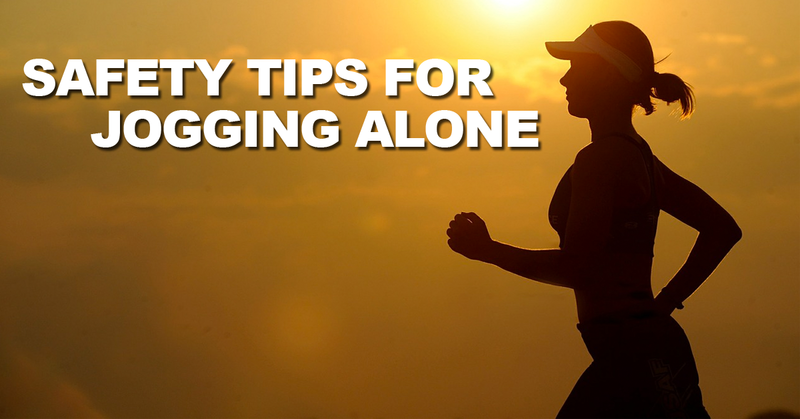 For those people who remain steadfast in continuing their daily ‘alone’ jogging, we offer the following very helpful and useful tips for staying safe when jogging alone. Discipline yourself to follow a planned jogging route each day, and be certain to let either a family member of friend know your route as well. When someone else is familiar with your jogging route, should anything unsuspecting happen to you, this information can and will be critical to any search or actions that need be taken on your behalf. If you tend to just jog anywhere your heart may take you on a whim, you alleviate the chances of others coming to your aid or even finding you if need be. Always carry your cell phone. Though it may be a bit of a hassle to carry your cell phone because of size and bulkiness, discipline yourself to carry it regardless. Should anything happen to you, perhaps you get injured, or you get lost, or you see suspicious persons during your jog, your cell phone will prove to be a true life saver to you. Carry either a credit card or cash tucked away in your pocket when jogging. Why? When jogging anything unexpected can occur, perhaps you become dehydrated and have no fluids to drink, or even become injured, overtired, or unable to finish your jog and need first aid supplies, something to eat or even a cab to get you back home safely. A credit card of a little bit of cash will prove to be beneficial. Always run in the opposite direction of the oncoming traffic. It is important to run in the opposite direction simply because you are able to see all that is going on ahead of you and you need not worry about a vehicle creeping up behind you without your knowledge. In addition, if there are any potential traffic issues or problems, you will always be able to see them head on as they occur thereby affording you physical safety as well. Always have some type of identification on your person. When you are jogging alone it makes only sense that you carry identification, such as your driver’s license, a school ID, an employment badge, or even a runner’s ID tag with name, address and phone number. Regardless of which form of identification you prefer, just MAKE CERTAIN you have identification on you. Certainly an ID is an all-important bit of information at any time, but most assuredly when jogging alone. Choose very populated routes. When jogging alone if you at least jog in areas where other joggers are running you are more apt to be safe from severe harm and inappropriate actions by others. A further benefit of jogging in populated areas is the simple fact that should you injure yourself, or even fall, there are other joggers around that can quickly come to your aid. Be a defensive jogger. Many people, as we all know, talk and text on their phones while driving, despite the fact that it’s against the law. In addition, people tend to drink their morning coffee, eat their quick lunch, or fiddle with the radio and CD player while driving which can all interfere with safe driving techniques and which, most assuredly, can result in some very unfortunate occurrences to the innocent jogger. When jogging, try to avoid highly trafficked areas and should you come upon an intersection or busy section of the street, make certain you are extra cautious before crossing over and that the oncoming drivers are aware of your presence. Change your jogging route routinely. Assailants are typically successful at abductions and even murders because of their ability to know when and where you will be at specific times of the day. If you jog the exact same route at the exact same time every day consistently, it is much easier for someone to get acquainted with your routine and your route and bring harm to you directly. In addition, if you always run the same route and pattern you become so programmed that the tendency is to let your guard down some. With these thoughts in mind, be certain to change your jogging route and your jogging times as often as possible. Finally, many joggers, especially those jogging alone, love to wear their headphones and bask in their favorite music while running. Sadly, in this ‘not so nice world’ we live in, we strongly suggest that you do not wear headphones and listen to music at all since it can easily distract you from giving attention to all your surroundings at all times. Further, having headphones on does not allow you to hear all that is going on around you. Being attentive and having the ability to hear all that goes on around you, in and of itself, can save your life. Nobody wants to live in fear everyday. However, in this world we currently live in, we don’t need to live in fear but rather live in caution. For those of you who love jogging alone for whatever reason you may have, err on the side of caution and please follow our helpful safety tips for jogging alone for your overall safety and, potentially, for the benefit of your own life!! 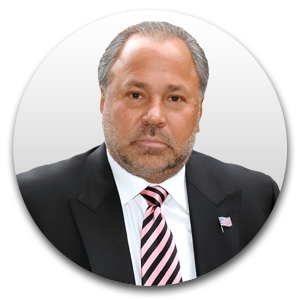 Beau Dietl & Associates is a premier Private Investigator NYC Company with offices in New Jersey, Florida and California. We have affiliates in every large city across the United States through our unique Investigations.com network. We also have partners around the world in almost every country. These contacts were developed from over 30 years of experience in the private investigations and security sector.